Following the release of T-Pain’s prEvolver mixtape, fans began buzzing over the big collaboration “How To Get There“, which features T-Pain with Krizz Kaliko and Cash Money’s own Bow Wow. Fans may remember Kaliko confirming that he had worked with T-Pain while visiting in Atlanta some time ago. There is no telling how much the two worked on, and fans may even get more collaborations between the two in the near future. 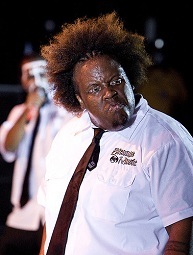 Follow Krizz Kaliko on his official Twitter page. What did you think of “How To Get There” featuring T-Pain, Krizz Kaliko, and Bow Wow? Leave your thoughts below!